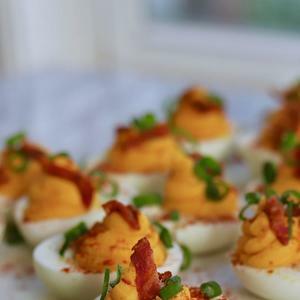 We're kicked our classic deviled eggs recipe up a notch with a tasty twist of silky sweet potatoes, salty bacon, cool sour cream, and creamy cheese. What's not to love here, folks? These bad boys are the perfect addition for Easter, summer cookouts or the upcoming holiday season.